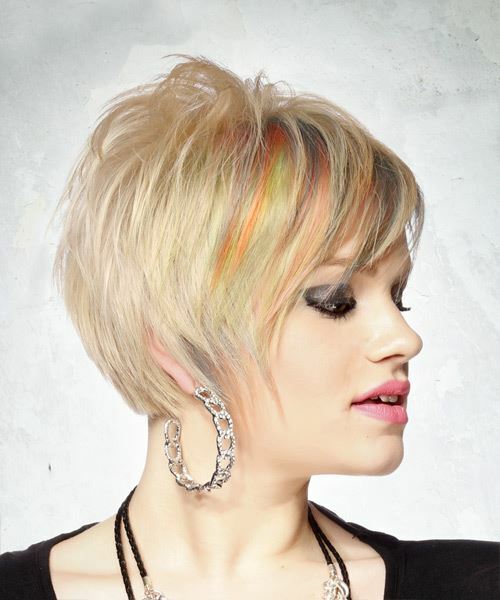 Our model is flaunting a sweet layered 'do here with a multi-color effect. The back and sides of this short simple style is tapered into the head, with the front and top having many long, fine layers to soften the face. The shape of this hairstyle is perfect to complement an oval face shape and needs only a small amount of product for hold and shine, along with some backcombing at the roots for height and volume. 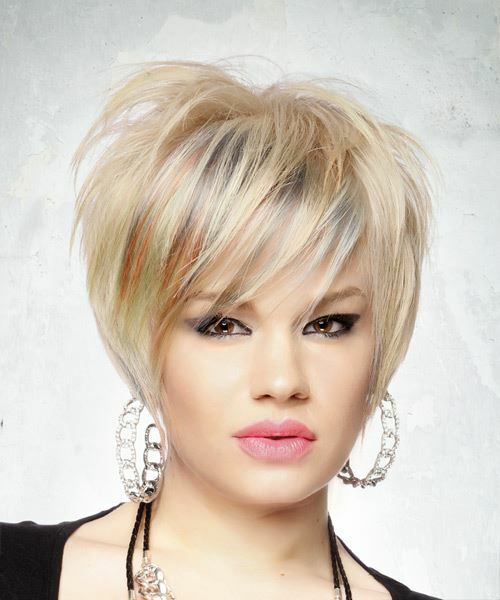 To maintain this light icy blonde color, regular touch ups are needed to keep it looking cool and fresh. Use a root boosting spray at the roots before blow-drying to add extra volume.